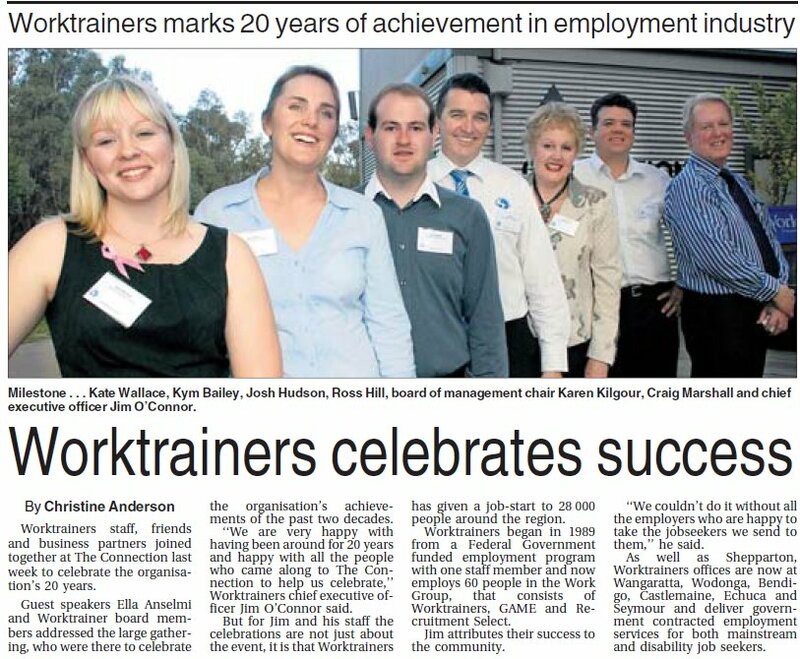 Worktrainers was founded in 1989 with a goal of helping people in regional Victoria get a fair go in the job market. It has helped thousands of people into employment since. Worktrainers is now one of the leading social enterprise businesses in regional Victoria, with two commercial arms of the organisation providing revenue to help deliver programs that give disadvantaged jobseekers fresh opportunities to find work. We make our first advert for local television TV in 1994, promoting our employment services. GAME started offering additional services including office cleaning, gardening, mowing and irrigation systems assembly during 1996/97. Worktrainers entered into working relationship with Mental Illness Fellowship to provide alternatives in employment for people with a mental illness in 1996. 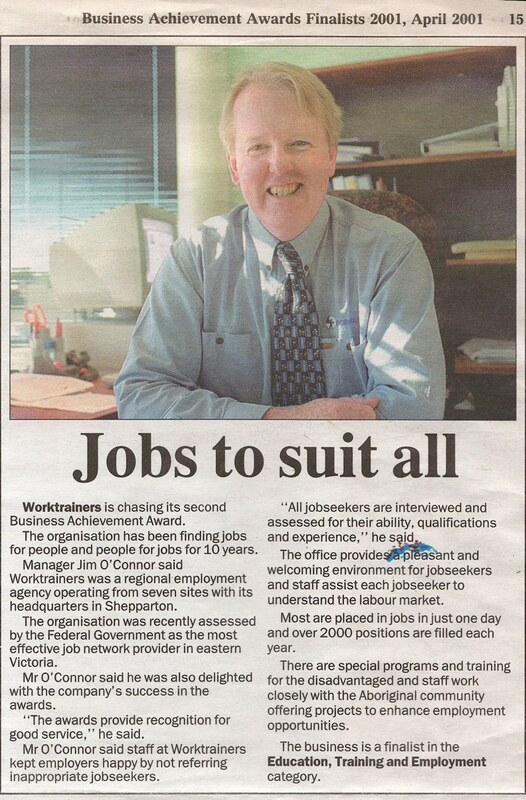 Worktrainers opens new full-time offices in Cobram (1996) then Wanagaratta, Benalla and Kyabram. In 1998 Worktrainers began delivering the Federal Goverment’s Job Network Contract, now providing employment services to all jobseekers. 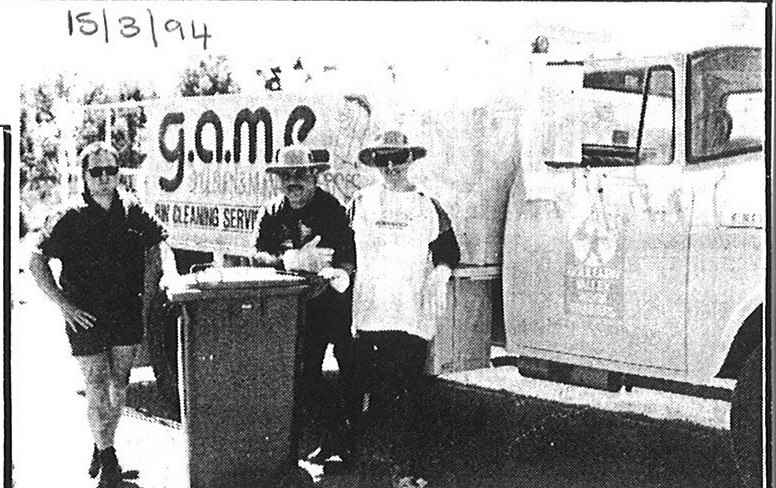 GAME wins contract with the Shire of Strathbogie to staff transfer stations in 1998. 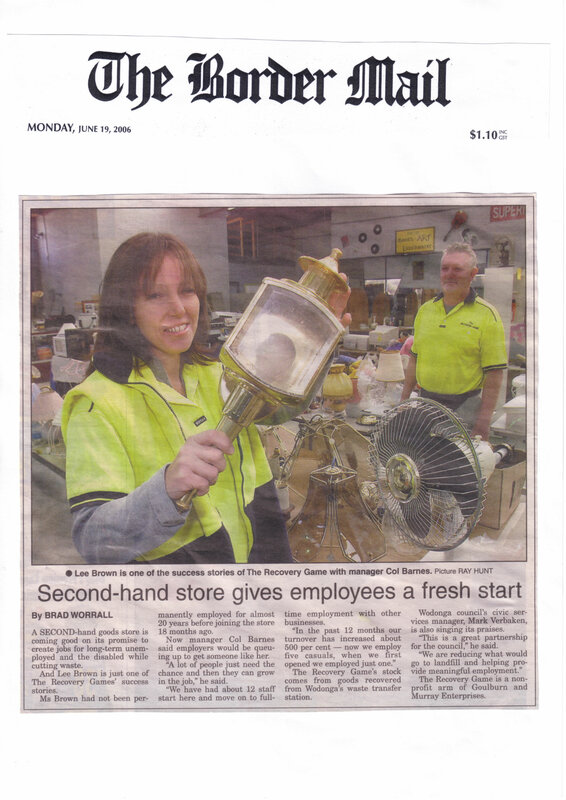 The second round of Job Network Contracts in 2000 saw Worktrainers winning additional business and expanding services across much of North East Victoria. In 2000 the first MOU was signed between Worktrainers and KEETA Indigenous Employment suppporting the establishment of the highly successful “Ladders to Success” program. 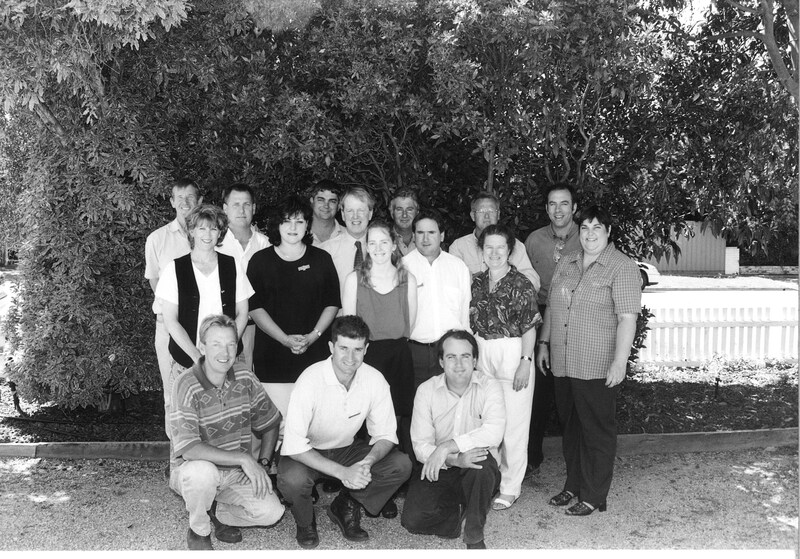 Worktrainers were the proud winners of the Shepparton Business Achievement Awards in 2001. The Job Network Employment Services Contract 3 saw Worktrainers gaining additional business in Kiewa (Wodonga) with full time office opening in 2003 to service jobseekers in this area. In 2002 Worktrainers were the first in Victoria and second in Australia to be certified to the newly established National Disability Service Standards. 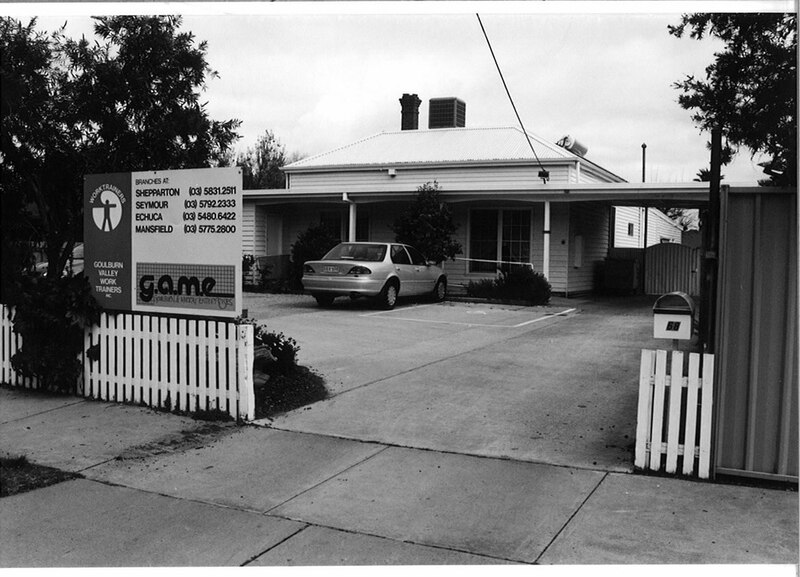 GAME expanded services into the Albury Wodonga area in 2003. New depot established in Wodonga. 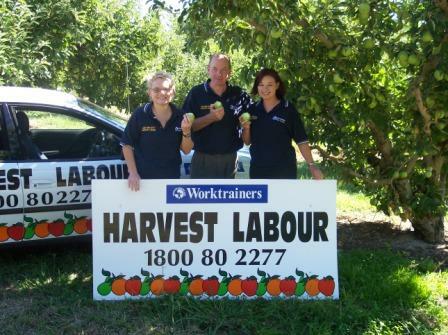 A National Harvest Labour Office Contract awarded to Worktrainers in Shepparton in 2003. In 2003 launched an initiative between Rumbalara and Worktrainers in 2003 to secure 100 jobs for indigenous people in the area – achieve 96% success rate. Worktrainers achieved ISO 9001:2000 Certification in 2004. Goulburn Valley based Harvest Labour Office was most successful in Australia for number of placements and ‘NIL’ official complaints according to DEWR in 2004. Recruitment Select Employed: 416 people – 126,812 paid hours (2010 – 2011) and 329 people -115,746 paid hours (2014 – 2015). Worktrainers has full-time offices in Albury, Bendigo, Castlemaine, Echuca, Seymour, Shepparton and Wangaratta and offers outreach services in Benalla, Kyabram, Rochester, Wallan and Wodonga. 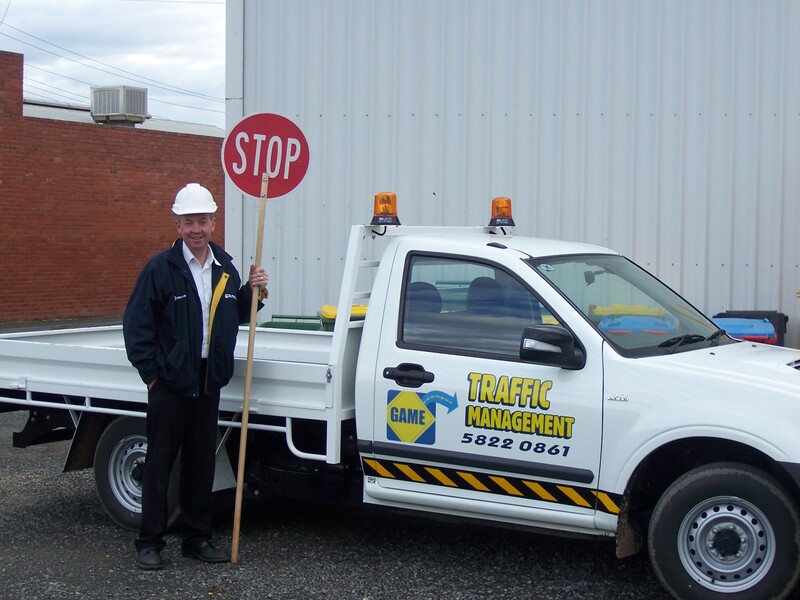 GAME Traffic & Contracting has depots in Bendigo, Shepparton, Wangaratta and Wodonga. Recruitment Select has offices in Shepparton and Wangaratta. 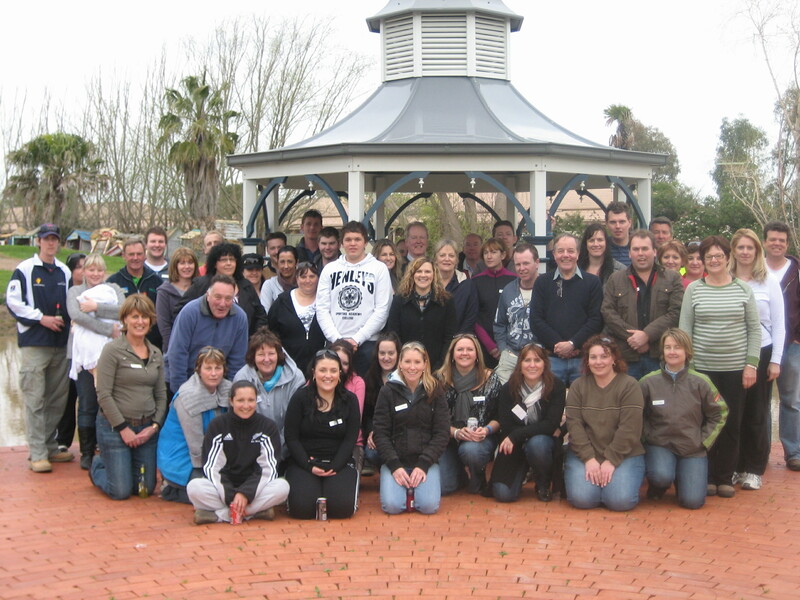 Geared 4 Careers commences in Wangaratta in 2010, Shepparton in 2012 and in Wodonga 2015. 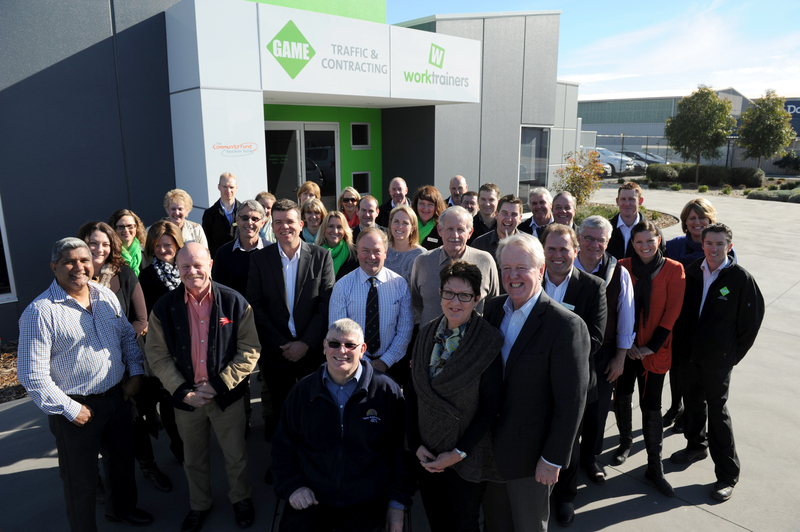 GAME Traffic & Contracting opens a depot in Bendigo in 2012 after securing Gardening contracts with the Office of Housing. The Workgroup moves to its new corporate headquarters at 98 Drummond Road in 2011. 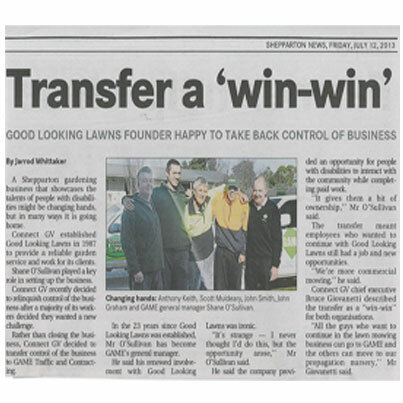 MiWork starts working with clients in Seymour in 2011 and Connect 2 Work commences in Shepparton in 2012. GAME was selected as a finalist in the medium/large category of the Australian Social Enterprise Awards in 2012 and 2013. In 2013 Jim O’Connor retires after 17 years as CEO. GAME wins a major contract to supply traffic management services to Powercor from 2015-2017.